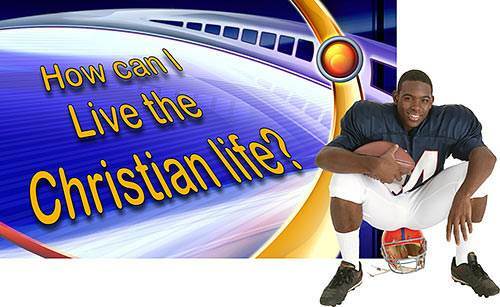 How Can I Live the Christian Life? 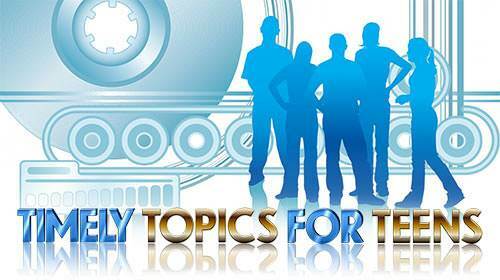 Lesson 13 in "Timely Topics for Teens"
Christian teens have one of the toughest jobs in the world—living up to their convictions. They love the Lord Jesus and want to live for Him. But trying to live the Christian life is a battle and much of the time they find themselves on the losing side. They can sing and smile in church but they are slaves of a thousand things of which they are ashamed. They don't want to be hypocrites but they just cannot live up to what they believe. In short, to them the Christian life is a beautiful thing but they can't make it work. They get plenty of advice on what they ought to do but nobody gets around to telling them how to do it. Is there an answer to this problem? Yes, there is! God doesn't just save us and then leave us here to be battered by the devil until we die and pass on to the next world. To be sure, the Christian life is warfare, but we are on the winning side, not on the losing side. The first step toward a life of victory is to know that you are in Christ. You can't win the battle against sin or the devil until you know your new relationship with Jesus Christ. The Book of Romans explains what happened when we were saved. In the Book of Romans we learn that God has given the human race two heads—Adam and Christ. God looks at all people as being in one or the other of these two races. 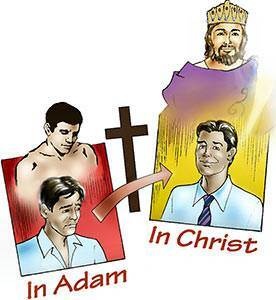 God sees you in Adam or in Christ. God sees me in Adam or in Christ. By natural birth we are all in Adam. By spiritual birth we come to be in Christ. Let's think about these two men, Adam and Christ, and see why we are in one or the other. What kind of man was Adam? Adam was a perfect man. 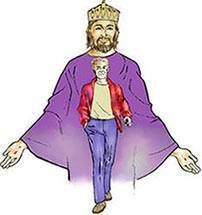 As he came forth from the hand of Almighty God, Adam was perfect in body, soul, and spirit. He was a God-centered man. God was enthroned as king in his life. Adam loved God and found pleasure in doing God's will. Although Adam was created sinless, it was not impossible for him to sin. Adam was no puppet. He was created in the image of God and he was given a free will. He could choose to obey God or he could choose to disobey God. So long as he chose to obey God, he would enjoy fellowship with God. If he chose to disobey God, the result would be death. We know what happened when Adam was tested. He made the wrong choice. He chose to disobey God. He really chose to be independent of God. Adam's wrong choice caused his nature to be changed. God was dethroned in his heart, and Self mounted the throne of his heart. Instead of being God-centered, Adam became self-centered. Instead of loving God and wanting to please Him, Adam now loved himself and wanted to please himself. God withdrew His Spirit and Adam became spiritually dead—separated from the life of God. This was a great tragedy, not only for Adam but also for the whole human race, for man was never intended to live his life apart from his Creator. When Adam had children, he passed his sinful nature on to them. The Bible says that Adam was the father of a son "in his own likeness," and not in the likeness of God. Adam's son, Cain, revealed his sinful nature by murdering his own brother. 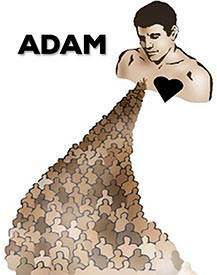 The "many" really means all, for every member of Adam's race inherited his sinful nature. So, Adam brought forth a race of sinful, self-centered people, and this is where we were before we were saved. We were "in Adam"—in Adam's sinful, self-centered race. In Jesus Christ, God's second man, we see what God intended man to be. The life that He lived was perfect. 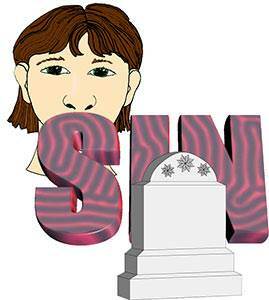 Though Jesus had many temptations, He never sinned. The Bible says that "he had the same temptations we do, though he never once gave way to them and sinned." (Hebrews 4:15 The Living Bible) His teachings were incomparable. Even His enemies had to admit, "No one ever spoke the way this man does." (John 7:46) But Jesus Christ did not come just to set us a perfect example or give us some marvelous new teachings. He came to make a way for man to get out of Adam's sinful race and to get into the family of God. 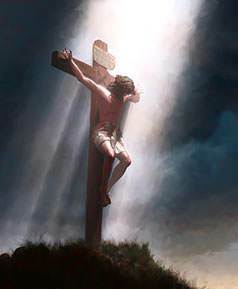 For six long hours, the Lord Jesus suffered upon the cross. Then He cried, "It is finished." The work of salvation was finished. The way was opened for sinful man to come back into fellowship with God through the blood of God's own Son. The third day after His death, the Lord Jesus Christ arose from the grave with a mighty triumph over His foes. 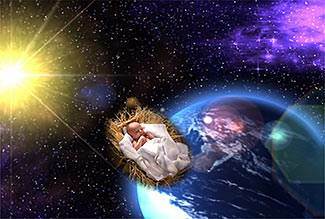 He arose to become head of a new creation—the children of God. What does it mean to be in Christ? It means to be joined to Him—to be one with Him. We have become one with Christ. Our union with Him is a living union. The Lord Jesus said, "I am the vine, you are the branches." (John 15:5) The branch is in the vine, and the life of the vine flows through the branch constantly. To be in Christ is to share all that He has. The Christian life is not only a changed life—it is an exchanged life. "All that Christ has," said Martin Luther, "now becomes the property of the believing soul; and all that the soul has, becomes the property of Christ. Christ possesses every blessing and eternal salvation; they are henceforth the property of the soul. 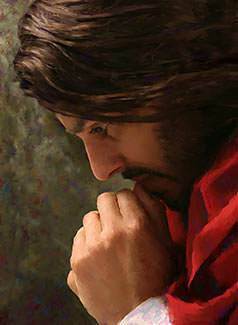 The soul possesses every vice and sin; they are henceforth the property of Christ." We cannot fight the devil in our own strength. He is much too strong for us. But he is not too strong for the One to whom we are joined. 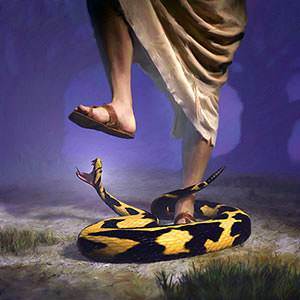 When He walked on this earth, Jesus didn't fear the devil or any of his agents. They feared Him. They recognized who He was, and when He spoke, they obeyed Him. The first step toward a life of victory is to know that you are in Christ and that Christ is in you. Every believer is in Christ. 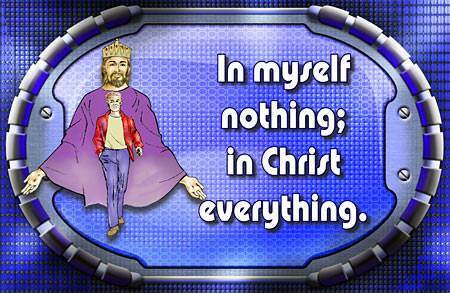 Every believer has Christ living in him, but not every believer knows this. Why is it that some Christians live victoriously while others are in constant defeat? The reason is that some recognize that Christ lives in them while others do not. Some have yielded their lives to Him and are trusting Him while others are trying to do the best they can in their own strength. The great missionary leader, Hudson Taylor, said, "All God's giants have been weak men who did great things for God because they reckoned [counted] on God's being with them." A word of warning.Your new life in Christ is a life. Life must be cared for. You need food for your soul each day as well as for your body. Take time to read some verses from the Bible each day. 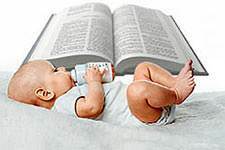 The Bible says, "Like newborn babies, crave pure spiritual milk, so that by it you may grow up in your salvation…" (1 Peter 2:2) Remember: God's Word will keep you from sin or sin will keep you from God's Word.